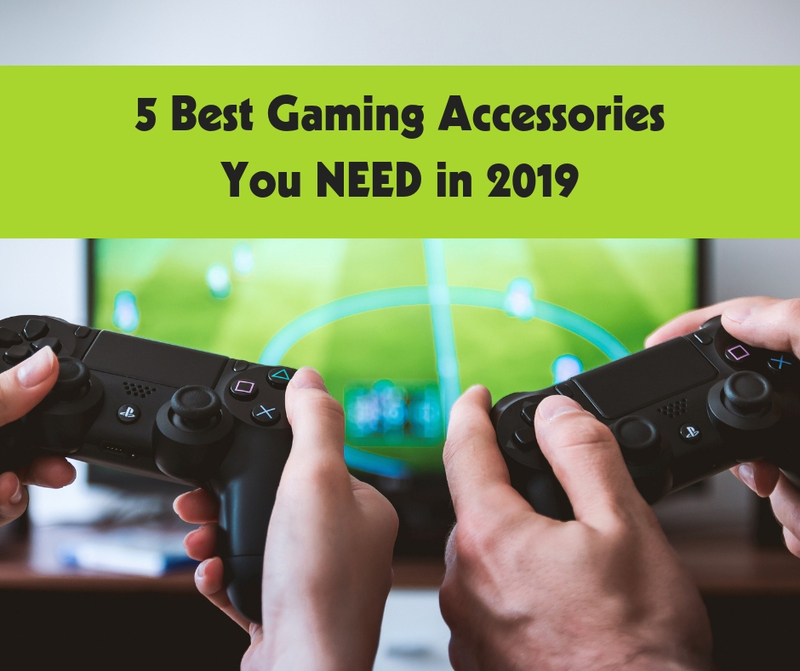 The holiday season is over and we know a few of you gamers may have some extra money that you don’t know what to do with… Well, there are constantly new gaming accessories coming out, so we thought we’d help you narrow down your choices with our guide about what we think is the cream of the crop. It’s dangerous to go alone… so take one of these with you. The Nintendo Switch is one of the best current consoles. Nintendo really brings the fun to any environment with this marvelous system, so whether you’re at home or on the go… the switch does it all! The controllers for the Switch, or Joycons, charge whenever you have the console hooked up into the home dock. But for those who frequently play multiplayer games or have a few children at home, you may need multiple controllers, right?! The FastSnail Controller Charger gives you the ability to charge multiple controllers at one time, and even has indicator lights to let you know when they’re done! It’s an amazing accessory for any gamer who loves to have friends over to play fun multiplayer games, like Super Mario Party or Super Smash Bros Ultimate. A large part of the online gaming experience is being able to talk to who you’re playing with. A common problem we see time and time again is that with more accessories comes more clutter and mess. Cozoo makes a headphone stand that will help not only organize your gaming area but can help you multitask! The stand is powered and comes with three USB ports so you can charge your phone, tablet device, or anything else you can think of! We personally think a big part of your gaming experience is being able to hear the soundtrack or background noises as clearly as possible. Whether you’re engaged in an epic RPG like Kingdom Hearts 3, or you’re fighting players online in Fortnite… it’s important to submerse yourself in the game and hear every little aspect of it. ONIKUMA’s Stereo Gaming Headset is great for any player and any console. With 5-star reviews across the board, it’s a product that delivers and performs no matter what. An HDMI switch is a great accessory for any gamer who has multiple consoles or just generally uses their television for a lot of different devices. Most TV’s have only three or four HDMI inputs, making it an annoying ordeal to change things around whenever you need to add something new. With an HDMI switch, you can not only increase the number of devices you use, but you can make it as easy as possible to switch between them! Virtual Reality headsets have become a huge part of the gaming industry in record time, and we can only anticipate them to become even more popular over time. PlayStation VR pushes the boundaries of what can be done with a VR headset and is an amazing accessory for any PlayStation loving gamer. With titles such as Resident Evil 7: Biohazard, Batman: Arkham VR, and The Elder Scrolls V: Skyrim, Sony really has come through with exciting new ways to experience virtual reality. Enjoy a GameTruck Party… Today! Let GameTruck bring the party to you! A GameTruck event is perfect for any birthday, holiday, office event, or anything else you can think of. Whether it’s video games, BubbleSoccer, or LaserTag… we have what you need to take your party to the next level. Get in touch with us today and call (804) 938-1337 or contact us online. Black Friday is a day declared toward gaming galore—video games, gaming consoles, and related accessories are hitting the shelves at a discounted price. Black Friday falls on November 23rd, giving gamers less than a month to seek A Way Out to their local participating stores. Whether it’s working on your jumper shot in NBA 2K19 or hunting down your enemy in Assasins Creed Odessy, a variety of highly demanded games will be offered at a lower price for a limited amount of time. 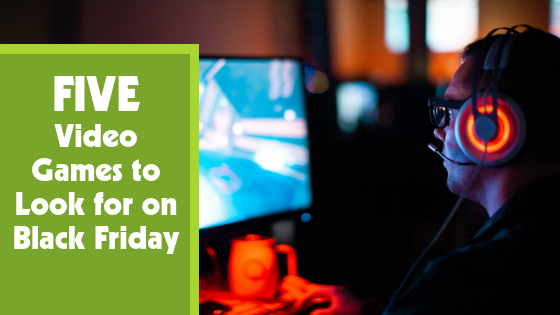 At GameTruck, it is our Call of Duty to provide you with 5 video games to look for on Black Friday! Being 8 years since the first Red Dead Redemption, gamers were thrilled for the release of Red Dead Redemption 2. The highly anticipated game was released on October 26th, 2018, starting at a retail price of $60. Due to its newer release, retailers may not discount the individual game, but rather offer bundle deals. From late October to early November, Gamestop provided a bundle deal where if you purchase a copy of Red Dead Redemption 2, you can get $100 off any new Xbox One. So if you are looking for a new gaming console, you may essentially be able to get this game for free. If you are a proud owner of a Playstation 4 (PS4), this exclusive game is expected to go on sale just for you. Insomniac games created a unique first-person experience through the life of Spider-man. With its release in early September of this year, many gamers have had nothing but positive reviews for Marvel’s Spiderman. Aside from the video game’s graphics and special features, it has been said to be one of the best superhero video games to ever be made. Throughout the month of November, keep an eye on wholesale stores, such as Walmart, for this action-packed game to decrease in price. Retailed around $40-$60, God of War is another PS4 exclusive that enthusiasts are expecting to see go on sale. Since this game was released in April of this year, it is likely that this mythology inspired game will have a limited-time discount for the holidays. Stores such as Gamestop, Best Buy, Walmart and Target have provided gamers with excellent Black Friday sales in previous years, so be on the lookout for unbeatable deals this month. Released in January of 2018, Celeste is a user interface game that is available for the Nintendo Switch, PS4, Xbox One, and on computer operating systems, such as MacOS and Microsoft Windows. The video game takes you through the journey of a young woman named Madeline who takes on a journey upon the Celeste Mountain. Facing obstacles and self-doubt, Madeline is determined to get to the top of the mountain, in which the game is then won. You shouldn’t have to “climb mountains” and “avoid obstacles” to find a video game at a decent price. Look for Celeste in stores and online on Black Friday. Bring your soccer skills to life with FIFA 19. With advanced features and graphics, soccer fans are kicking and screaming over this game that released in September. Available for PS4, Xbox One, and Nintendo Switch, this game retails around $60. About this time last year, FIFA 18’s prices were significantly slashed, so we assume the same trend will continue for FIFA 19. GameTruck’s goal is to deliver excitement to all of your events. With a variety of games and consoles provided, we make sure to have the latest games to keep you and your guests entertained. Review our pricing and availability here, or call us at (804) 938-1337.